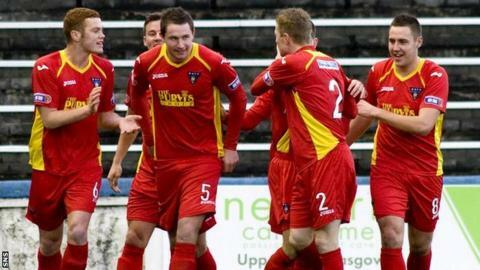 Players at Dunfermline are to make a formal complaint to the Scottish Football League over unpaid wages. Discussions are already under way between PFA Scotland and the SFL over the issue. Squad members at East End Park are missing payments going back to October 2012 and have also been missing out on bonuses and appearance fees. Director Gavin Masterton this week told BBC Scotland the Pars are experiencing a "short-term cashflow crisis". However, Masterton also outlined that the club are effectively "debt-free" with no money owed to the bank but some liabilities due to directors. "It's been an issue for two or three months," said Masterton of the wage delays. "It's tough, it's embarrassing but it's not the end of the world. It's not as though they've been paid 15%. It's better than than having no job at all."